I'm all good now! Feel much better now! 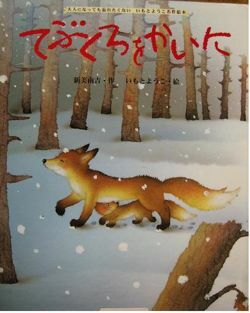 a picture book that I used to read when I was in Kindergarden! It's a Japanese children's story book. As a child, I loved reading picture books! I remember reading heaps as a kid. Didn't know they still published it. I think most Japanese people would know the story. the message that I get from the story now as an adult. magically changed the baby fox's one paw into a human hand. hands, you will be in a lot of trouble." So the baby fox made his way into town and found the hat store. "Can I please buy some gloves?". recieved was real money, so he sold a pair of gloves to the baby fox. handed the money with his fox hands. "I wonder if all humans are that kind". And the story ends there. What do you think the messages that the writer is trying to say?